Happy Father's Day coloring pages are fun for kids to give Dad or Granddad. 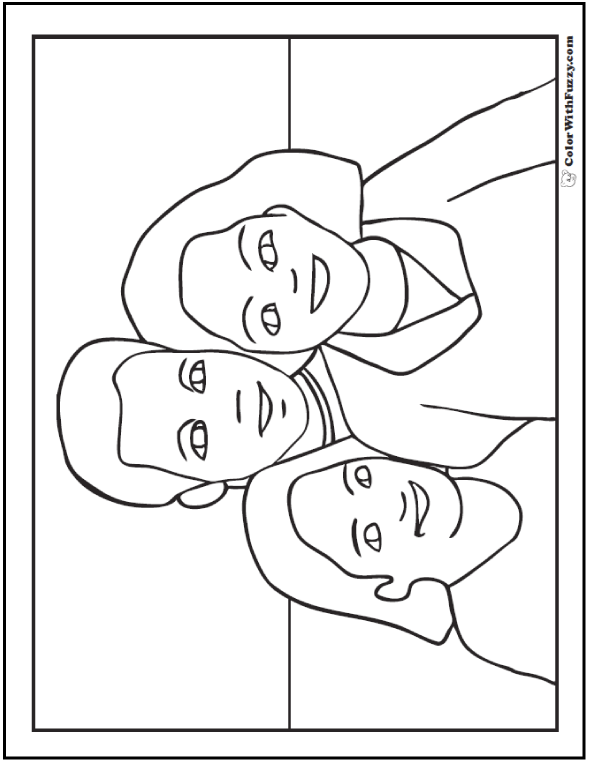 Father, mother, daughter coloring sheet. This PDF prints to 8.5x11 inch paper. Little girls like to make Happy Father's Day coloring pages, especially when they show Mom and Dad both. Have a happy day!